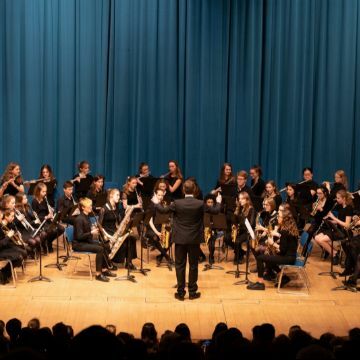 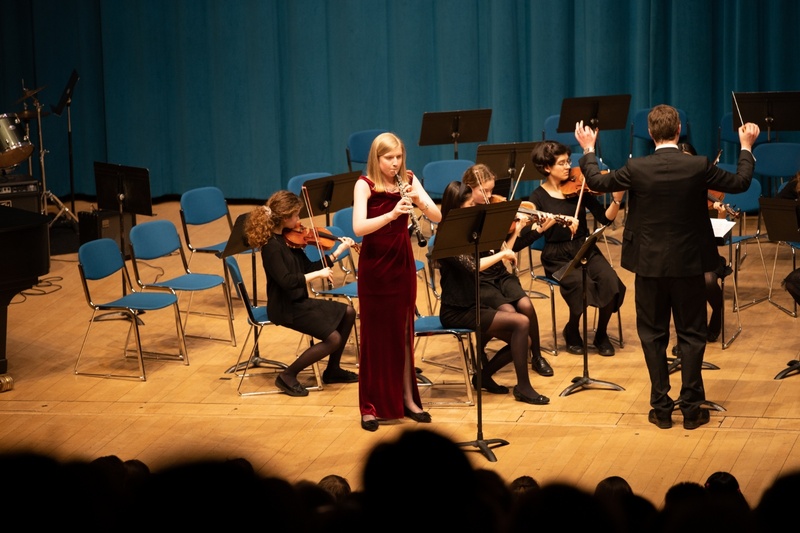 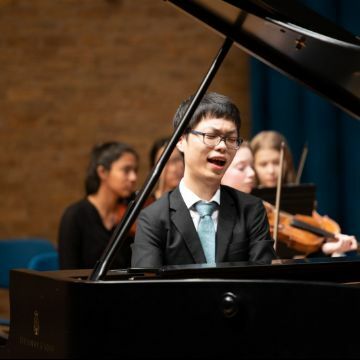 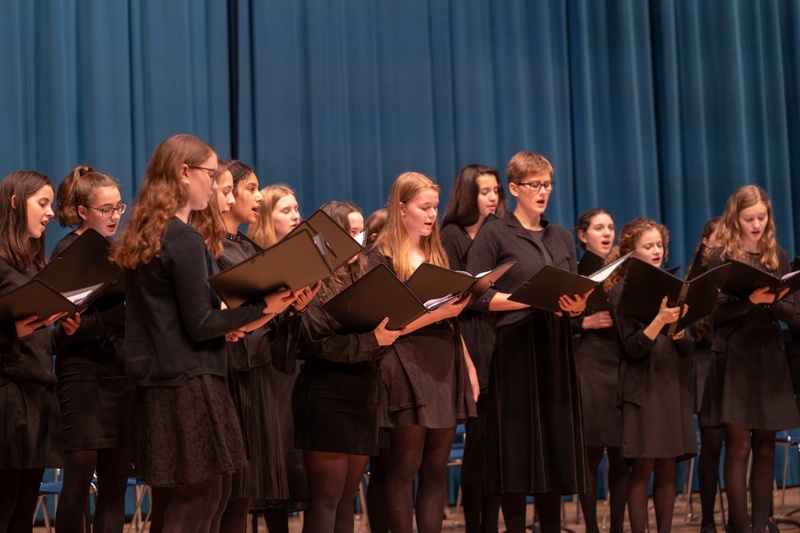 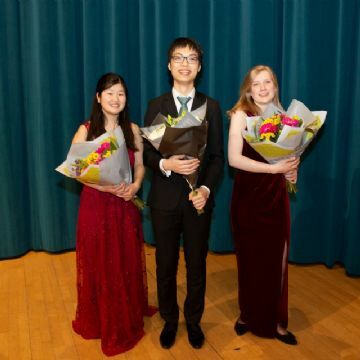 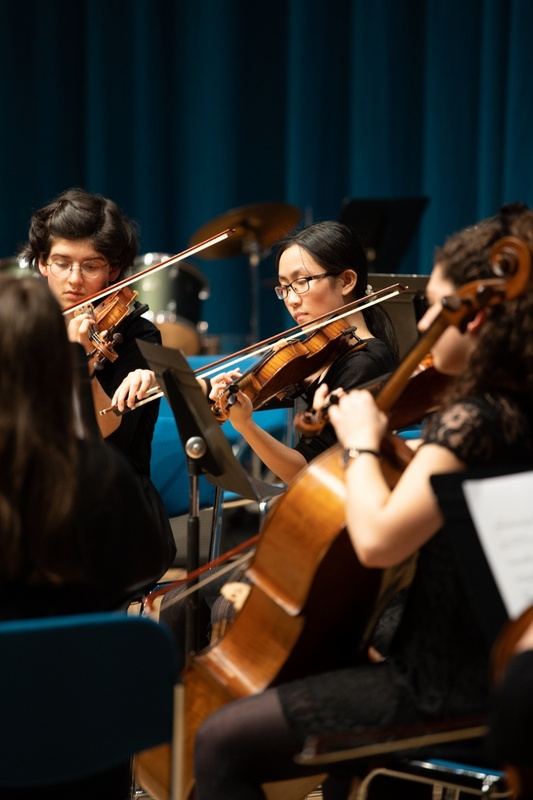 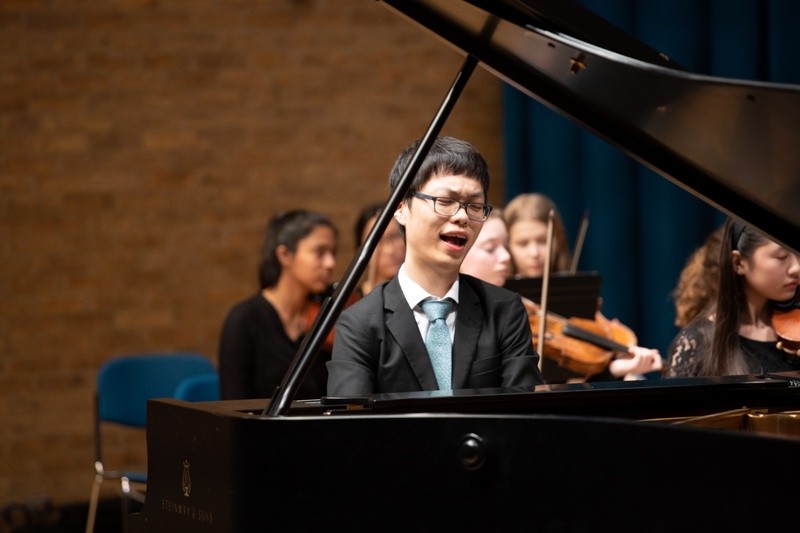 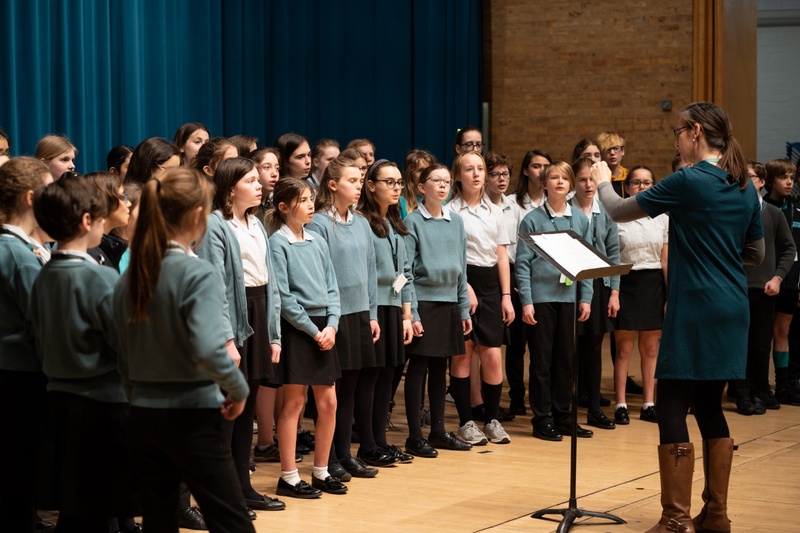 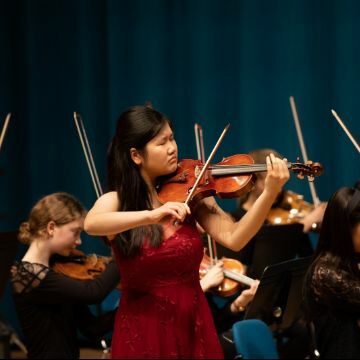 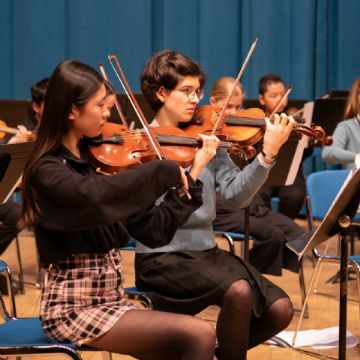 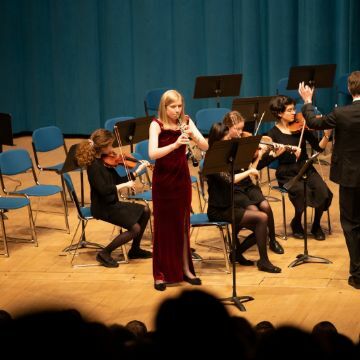 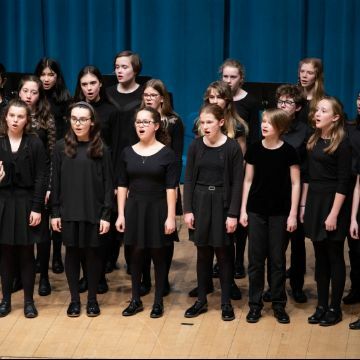 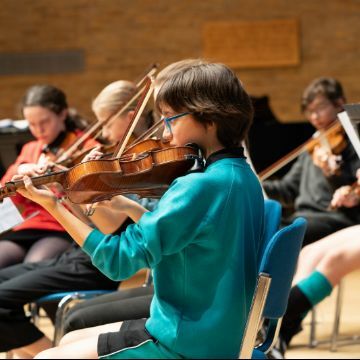 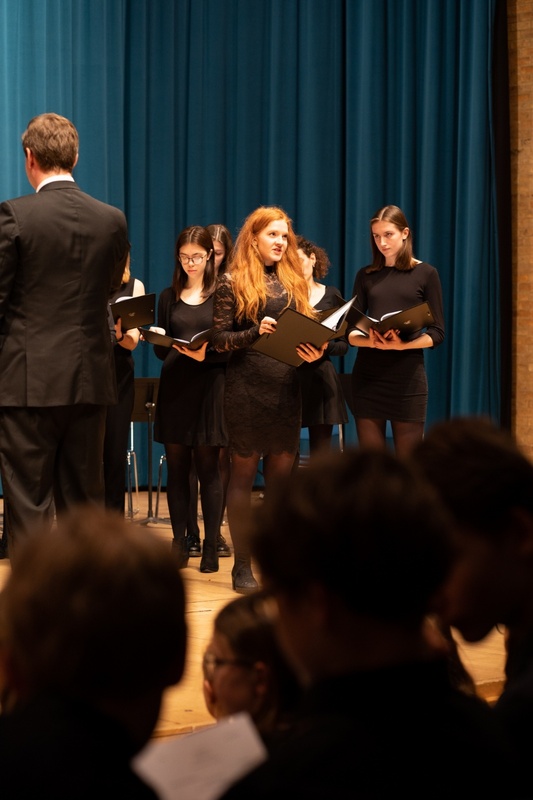 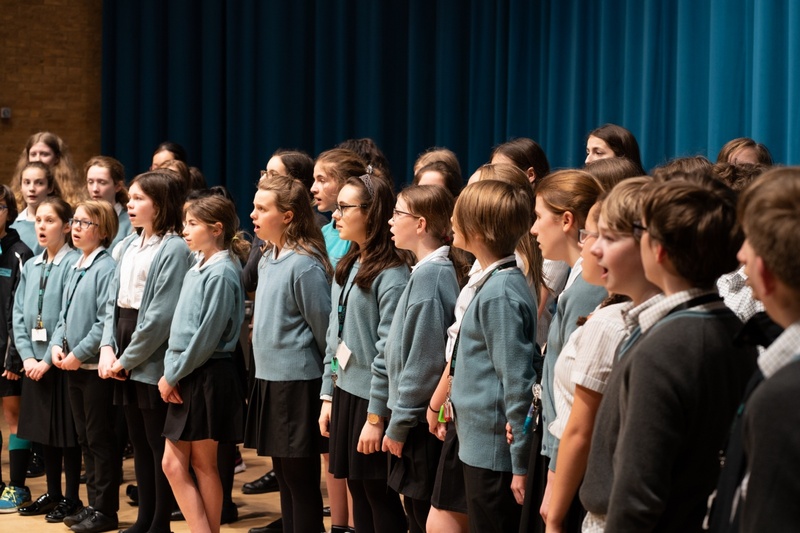 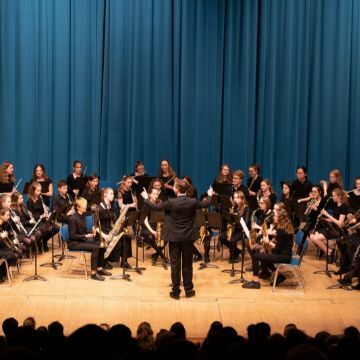 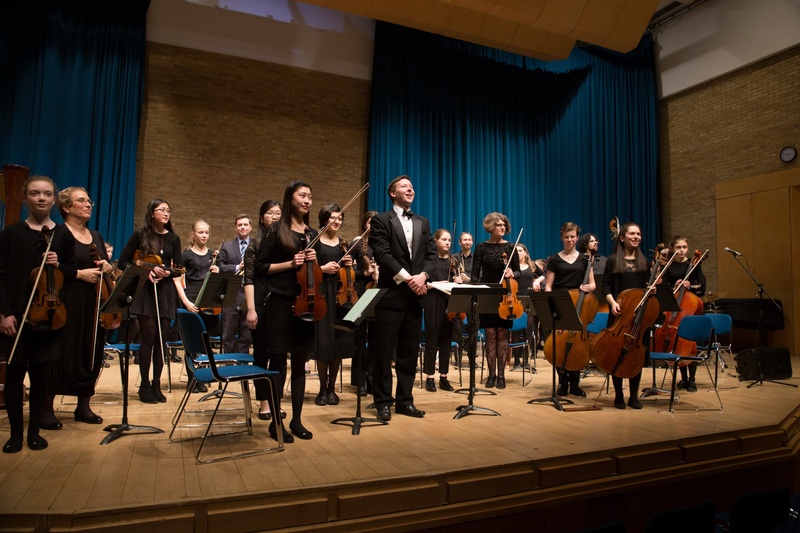 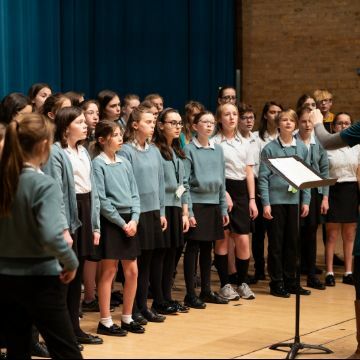 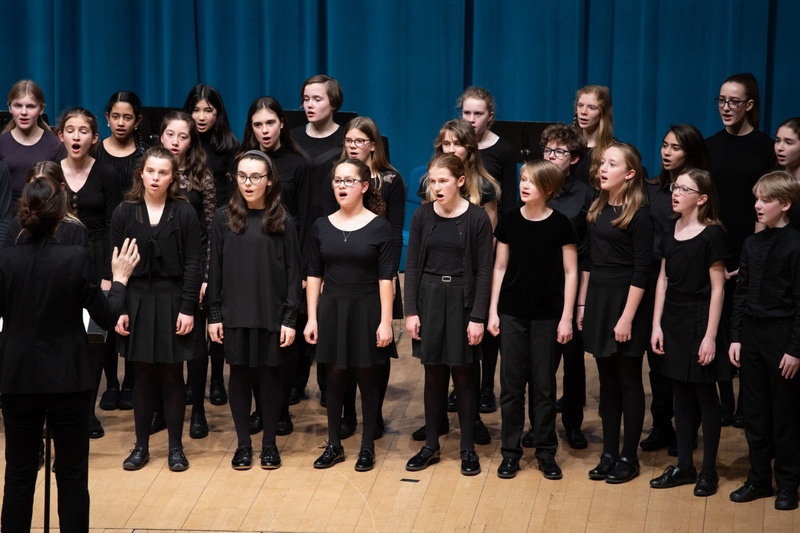 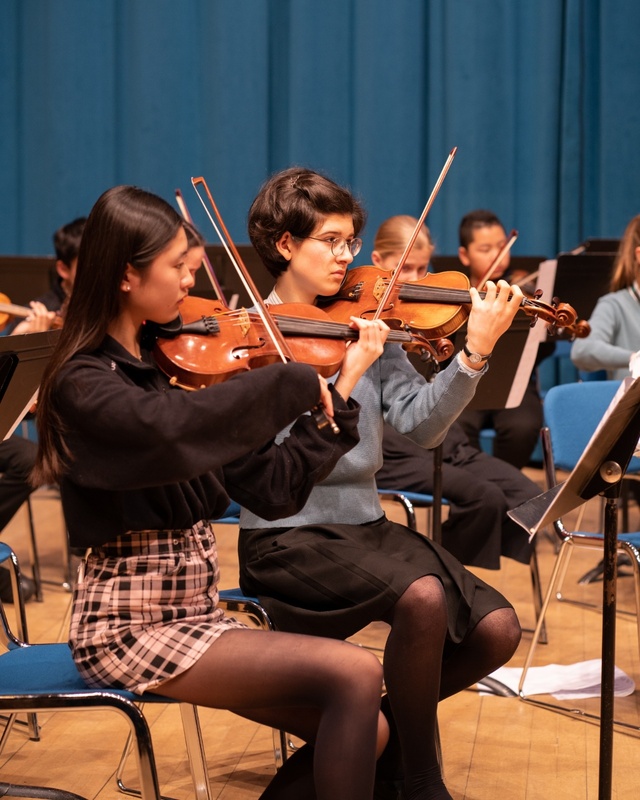 A large audience was treated to some spectacular performances at the Spring Concert in West Road Concert Hall on Tuesday 19 March. 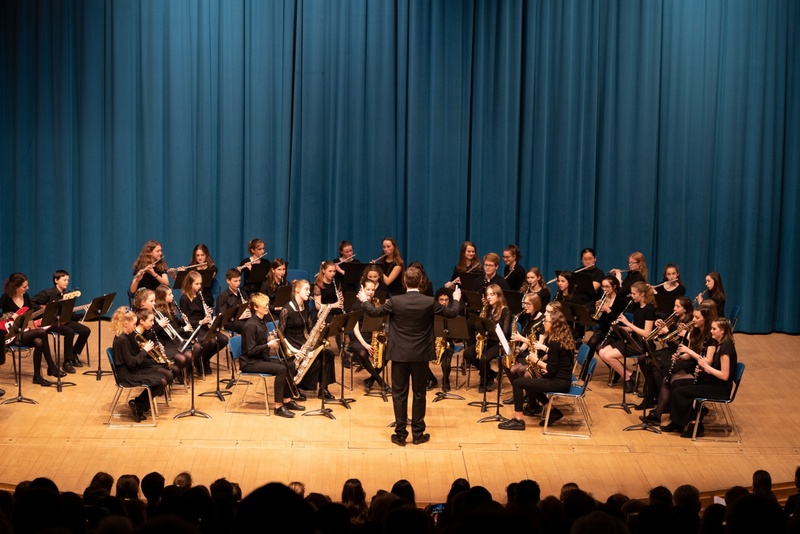 Over 120 students were on stage performing as members of the Big Band, Year 7 Choir, Boys’ Choir, Middle School Choir, Singers, Concert Strings, Chamber Orchestra and Symphony Orchestra. 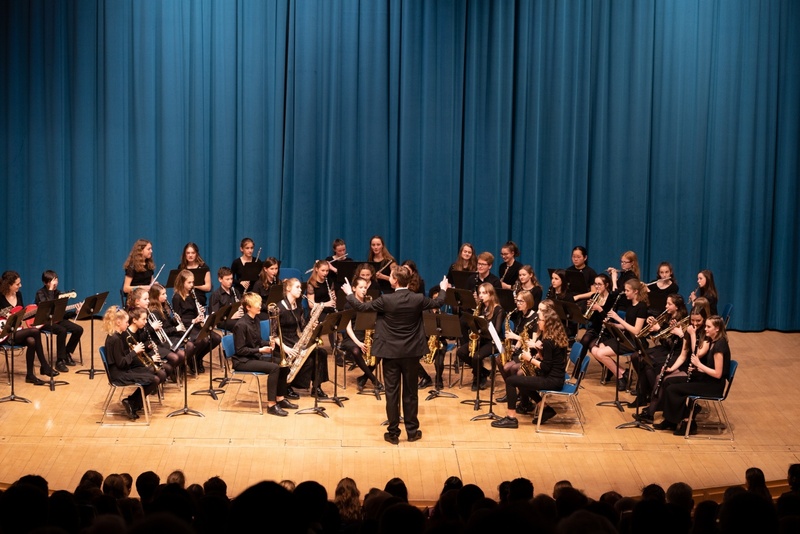 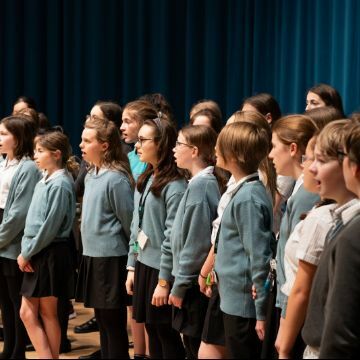 The wide ranging programme include the 1970s rock hit ‘Vehicle’ performed by more than 40 members of the Big Band, our combined younger choirs (over 60 singers!) 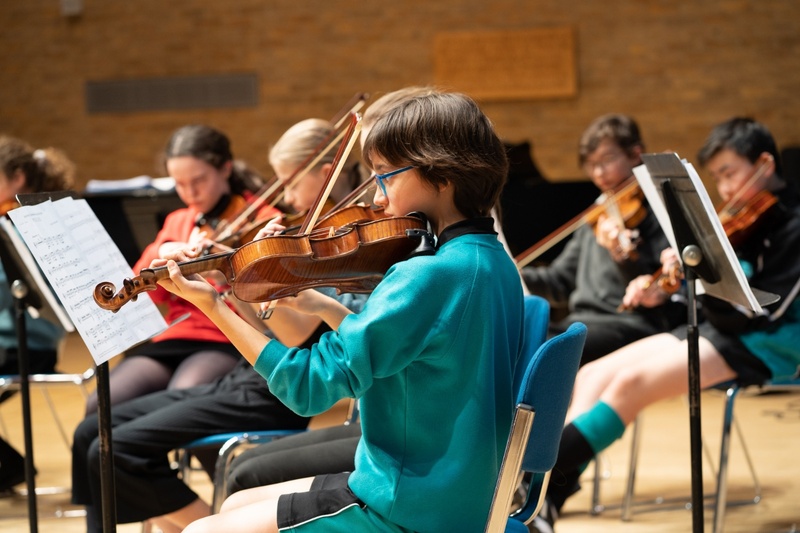 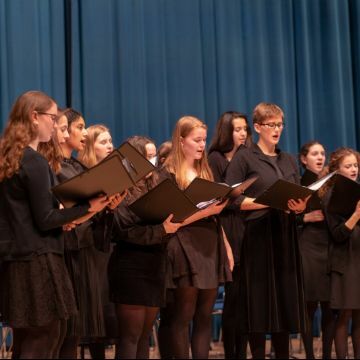 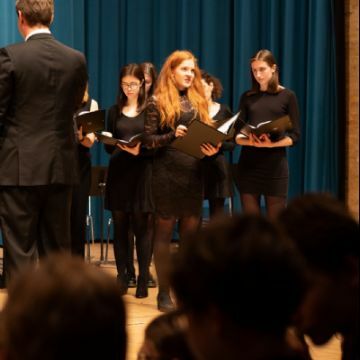 singing Sarah Quartel’s haunting ‘Grow’, Karl Jenkins’ popular ‘Palladio’ performed by our string players, and movements from Fauré’s ‘Requiem’ exquisitely sung by The Singers, featuring Maddy A as soloist in ‘Libera me’. 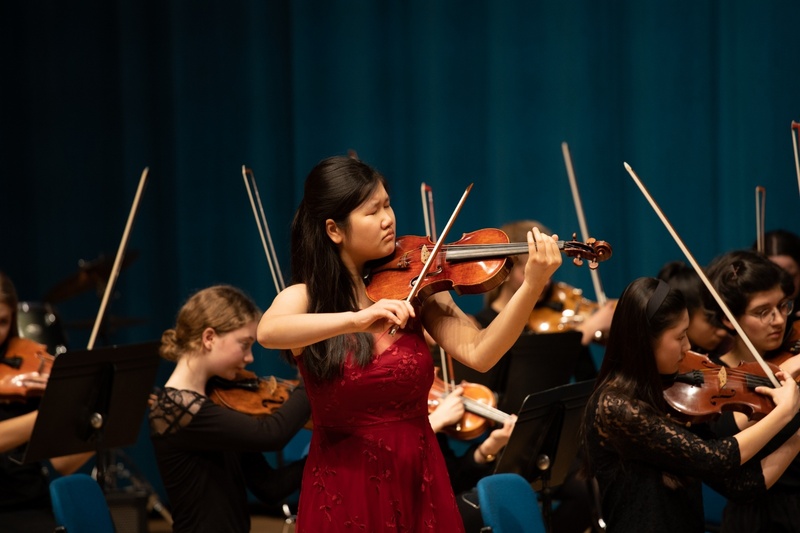 As always, our talented Upper 6 soloists took centre stage to perform solos with our orchestras. 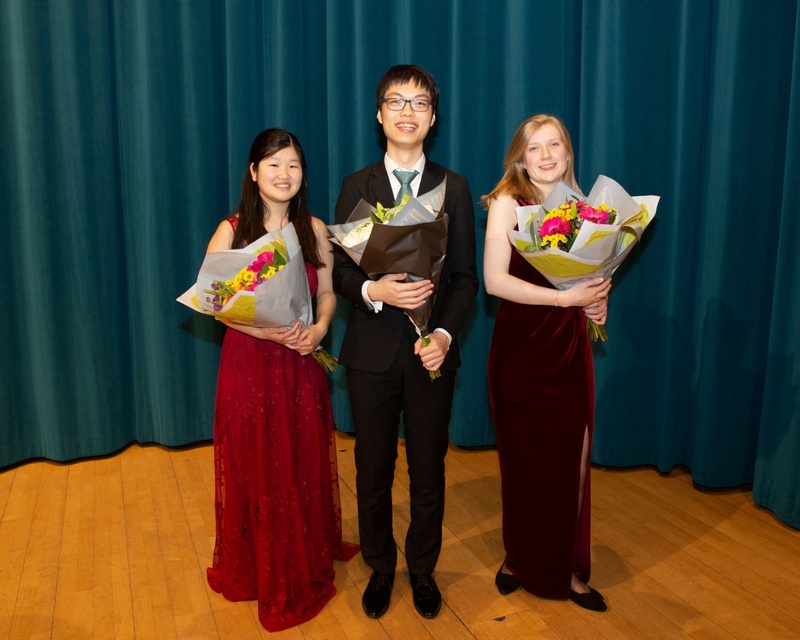 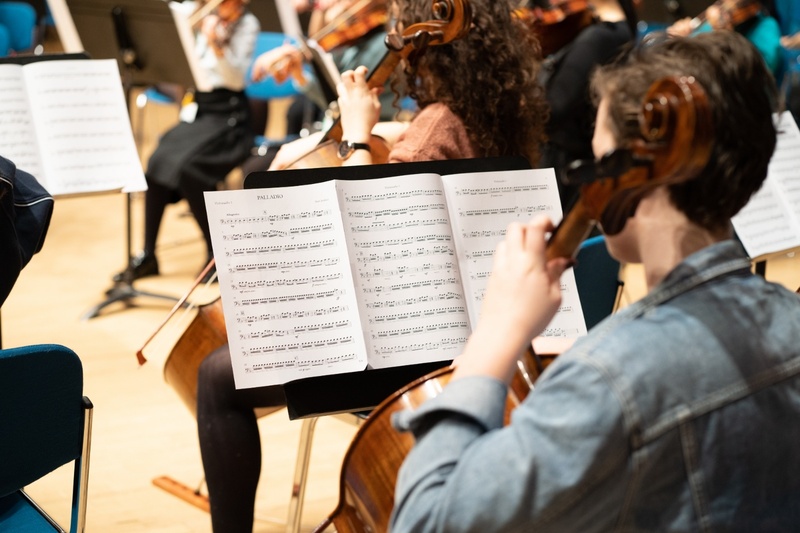 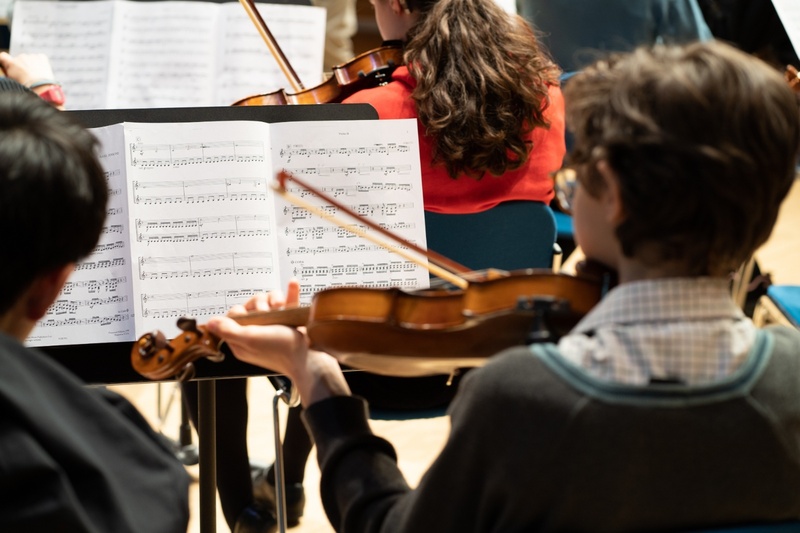 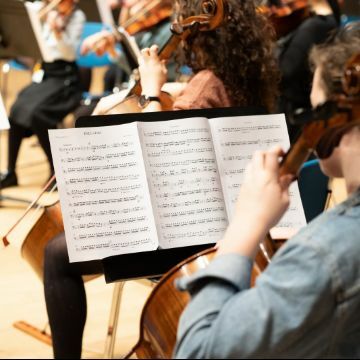 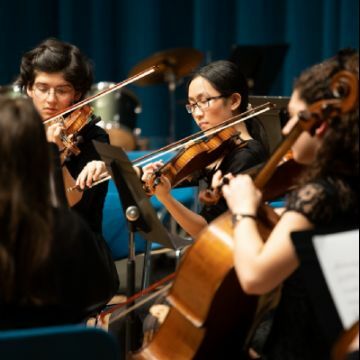 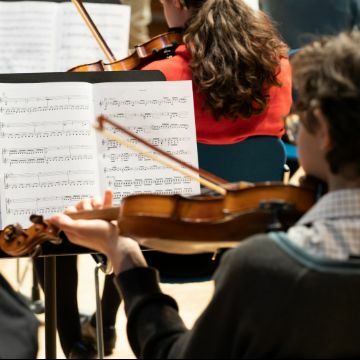 This year we were treated to Marcello’s Oboe Concerto (Annabel J), ‘The Wrath of the Yellow River’ from Xian’s ‘Yellow River’ Piano Concerto and Pablo Sarasate’s ‘Carmen Fantasy’ for violin and orchestra (Anna P).